Reema is a 9 year old girl who spent most of her life as a rag picker. Though she now goes to school, the struggles in her past are hard to forget. In the hope of a brighter future she tries hard to concentrate on her studies, but learning to read is especially difficult. “I can’t do it” is most often what her teachers hear. An idea then dawned on this teacher that if they could find a way to give the children character training and help them cultivate and develop their social skills, they could excel in service oriented fields. There was a crucial need for this type of inner development. She started to look for a values and moral educational program for children. 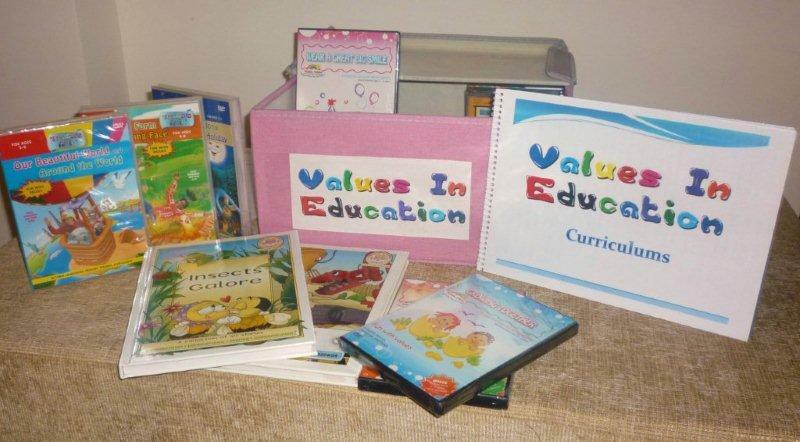 For months she could not find anything and had to innovate and come up with simple verbal training, until Family Services contacted her institution with a “Values in Education” Library. The core of this material is the Treasure Attic® and Kiddie Viddie® series. 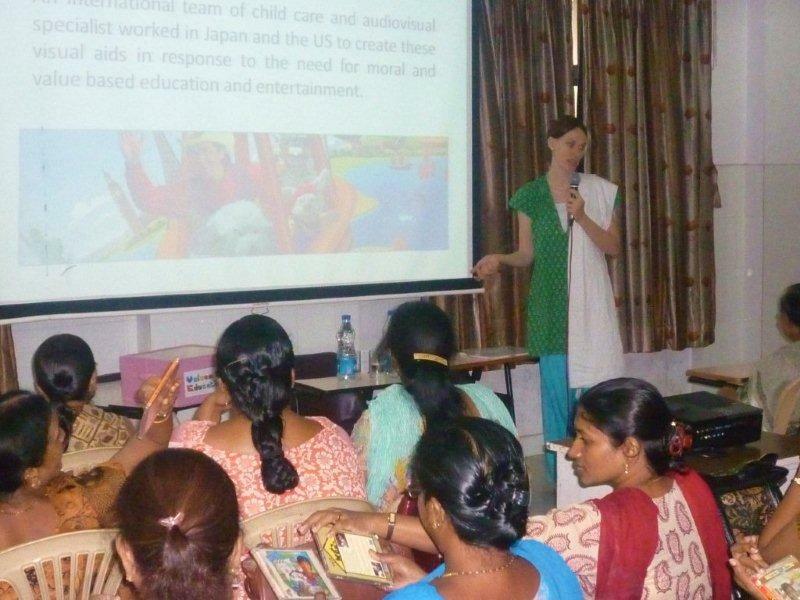 These have been designed and produced by experts in the field of childcare and training who researched and developed a series of children's audiovisual value education programs to develop positive character and moral development in children. Since kids learn best what they enjoy the most, the package contains books, VCDs, music CDs and interactive activities which teach children good values and other essential life skills in a highly entertaining way. The words of her thank-you letter give an image of a changed institution: “Since having the library funded I give weekly classes, volunteers come and teach the children and we as teachers are able to reinforce the principles taught throughout the week. Whenever a child becomes discouraged we point to one of the posters the children have coloured that encapsulates a moral theme. We remind them of what they can do, and build their confidence and their self-worth! You can do it! Many thanks to Activated Ministries who has not just supplied a material need but has given each child in this institution an important feeling of self worth, opening up to them the value that lay within and renewing their hope for the future. 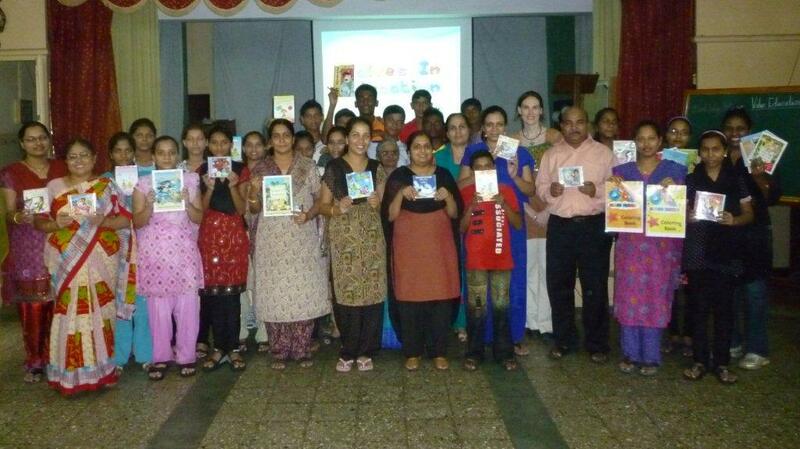 Through your backing we delivered each of the 12 VIE libraries that Activated Ministries sponsored! Our goal for the year is to distribute an additional 12 bringing our total impact to 24 libraries. In addition, we have quite a few other institutions we are in touch with, some of whom are still getting back to us concerning how many units they need for their schools/institutions. As follows is a brief overview of each of the organizations who benefited from the Values in Education Libraries. Doorstep is charity which focuses on literacy. They serve more than 15,000 children annually, employing innovative literacy programs to empower children and help them lead a fuller life. In mid June we visited to assess how the ViE Libraries have been benefitting them (we had obtained sponsorship for them to have a library last year, and were following up on their progress). We received helpful input as well as gratitude for the 6 libraries we had acquired for their organization last year. Thus far over 1,500 children have been served. 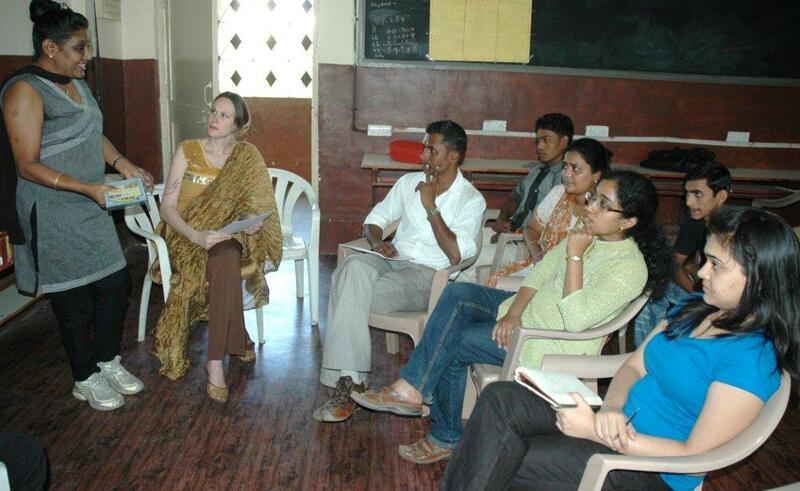 They hope to expand this, and requested an additional library for one of their institutes in Pune. 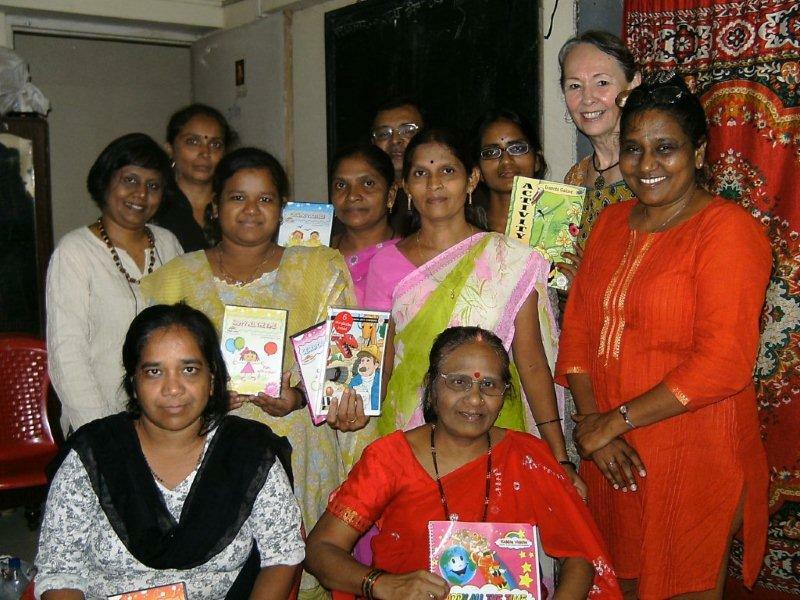 On September 25th we hosted a workshop for 77 of their teachers and delivered the libraries for both their Mumbai and Pune centres. St. Catharine’s runs both an orphanage for girls as well as a 2,000 strong school for the orphans they care for, as well as underprivileged residing near and around their premises. As you can see they were very excited about the library and curriculum. They requested two sets of our Values in Education Libraries for their 2,000 students. 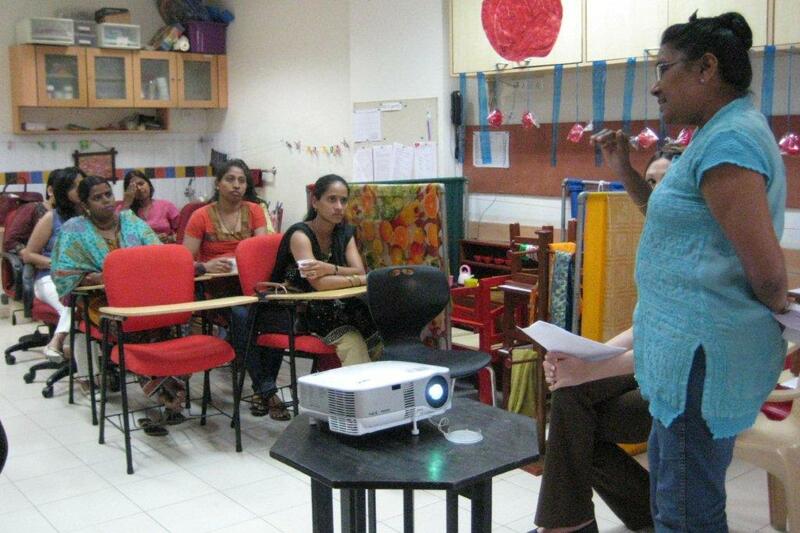 With your sponsorship we delivered and conducted a workshop for 22 of their teachers in July. 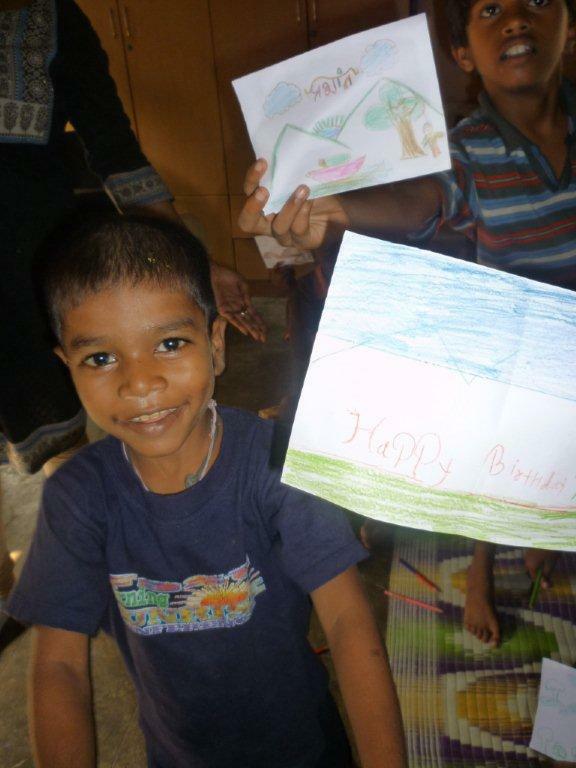 Ankur (Seedling) is an organization which focuses on non formal education for children in the lower income bracket. They set up small learning centres in economically challenged neighbourhoods (slums). Their current reach is 100 children. On the 19th of August we conducted a workshop for 9 teachers from this organization, screening and explaining the VIE curriculum and tools. They were very excited to have a library and are working toward getting audio-visual equipment for one more of their centres in the hopes that we can find one more sponsor. SPRJ Kanyashala Trust and Sarvajanik Education Society is an establishment which focuses on providing sponsored education from kindergarten all the way through to post graduate degrees for girls. 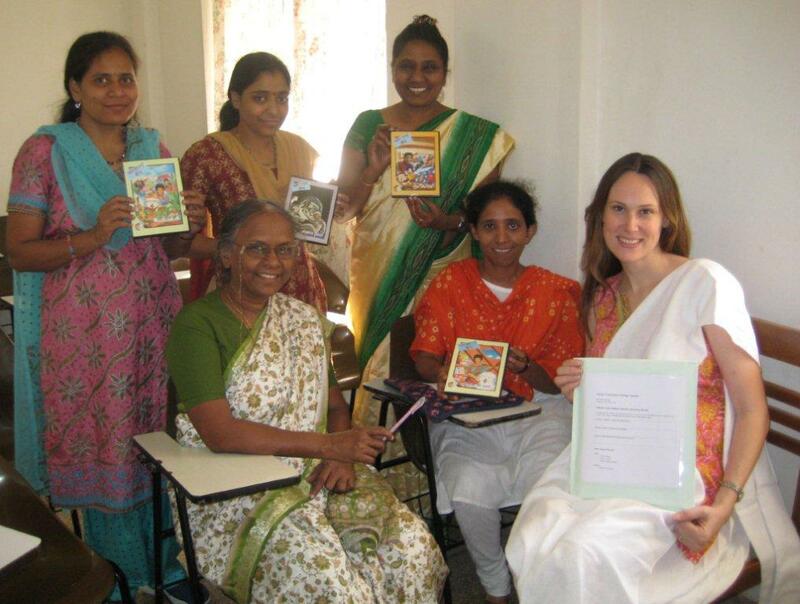 UNICEF figures state that only 48% of adult Indian females are literate in comparison to 73% of adult Indian males. Their motto is “A cultured woman nurtures the world”. They target students who are below poverty line and first generation learners. Their school strength is 2,272 students. On the 20th of August we were able to deliver one VIE library and hold a workshop for 57 teachers, including a power point presentation and audiovisual screening outlining the components of the VIE program, the curriculum and its usage. Mutangan: During the month of August we also met with Elisabeth Mehta, director of Muktangan, an organization which focuses on transferring BMC (Bombay Municipal Center) schools traditionally Hindi or Merathi medium into English medium schools. The focus of this is to provide children with greater scope and future opportunities. Elisabeth is currently overseeing 7 such establishments and is reviewing the VIE and whether their syllabus can accommodate this addition. On September 8th we delivered two VIE libraries and conducted a workshop for their 10 principles and faculty members. St. Anthony’s is a home dedicated to the care, education and nurturing of 300 children who come from mothers caught in the illegal trade of women as well as broken families. These children are looked after and cared for in St. Anthony’s orphanage. St. Anthony’s also has a school which instructs these and other underprivileged children. 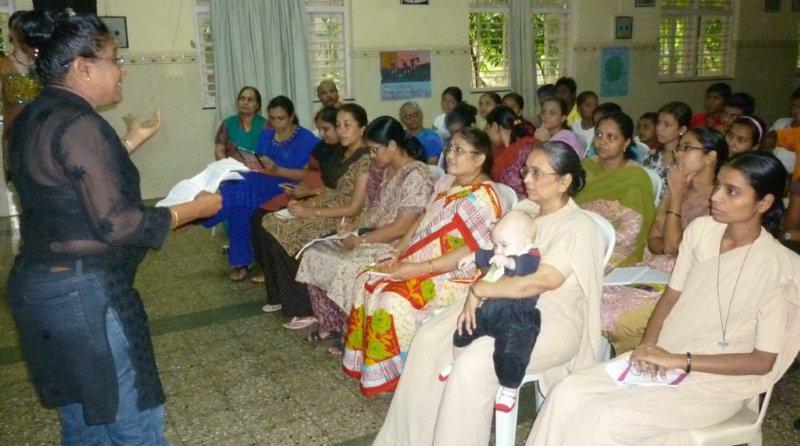 Mumbai Mobile Creches: This trust emerged due to the plight of children who wander construction sites playing on mounds of gravel and in dangerous land development areas. As children of the construction workers there was often no place for them to go. 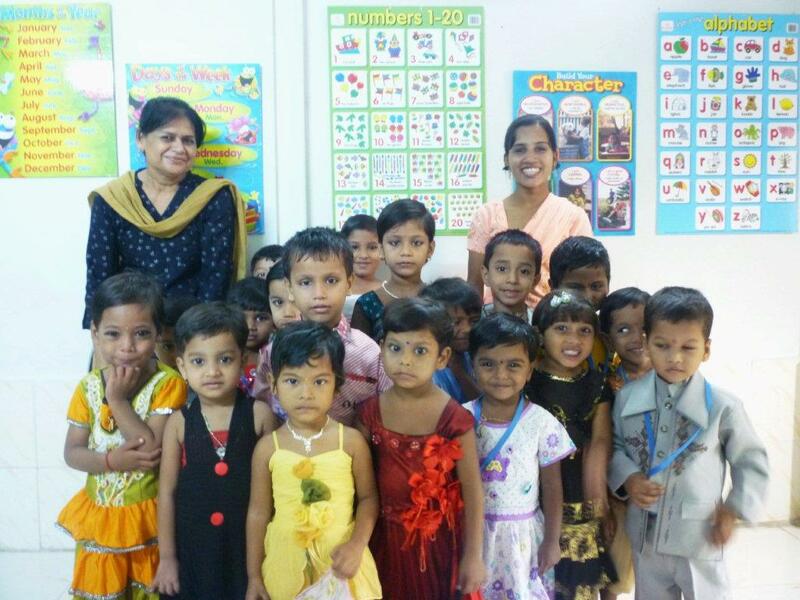 Mumbai Mobile Creche is committed to providing care, food and non-formal learning to babies and children of construction workers. Start Early: This prep school is for children from economically challenged families. It prepares children from the ages of 3-5 of first generation learners for English school and is located in the heart of a slum area in Thane. Family Service Centre: This organization focuses on many areas of need for the economically challenged family. They also aid in adoption and many other such projects. They have regular workshops with children in slum areas and desired to use the Values in Education Library for these regular workshops. All the organizations were extremely grateful for these aids! We thank you your sponsorship and for making this dream a reality to the lives of so many.